BeChangeMaker 2019 has launched with a call for applications to take part in this year’s program. BeChangeMaker is an exciting, online social entrepreneurship training competition created by WorldSkills and the HP Foundation to offer people aged 18-35 a chance to develop their potential as social entrepreneurs. Working in teams, participants take HP LIFE courses and receive support—including coaching, tools, and mentorship—to help them develop a viable business model to solve a social issue, using the United Nations’ Sustainable Development Goals as a framework. 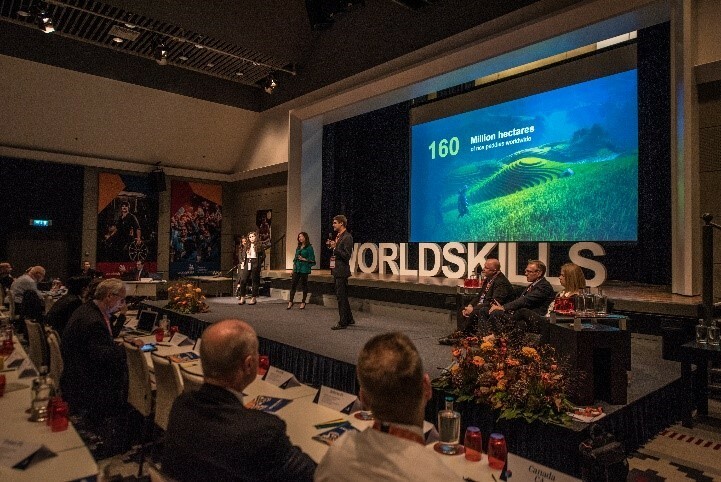 At the end of the three-month program, five teams will be chosen to pitch their business ideas live at WorldSkills Kazan 2019, in Kazan, Russia. Three teams will be selected by judges to receive EUR 1,000 funding and further support to develop their business. Applications for the 2019 program are being accepted now until April 15, 2019.